On Friday, the American Civil Liberties Union (ACLU), Privacy International and Civil Liberties and Transparency Clinic at the University of Buffalo filed a Freedom of Information Act lawsuit against seven federal criminal and immigration enforcement agencies, including the FBI and the Drug Enforcement Administration (DEA). 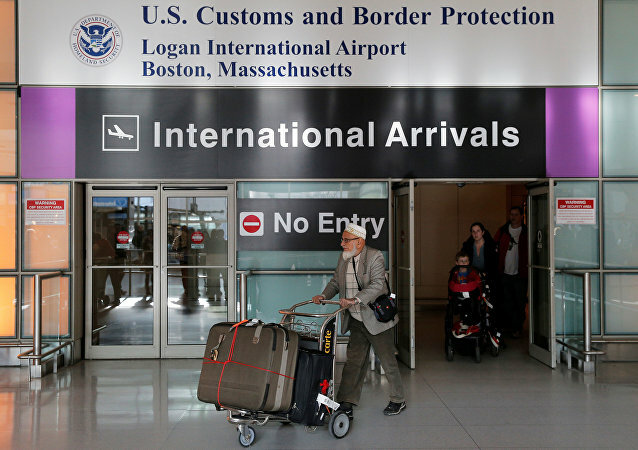 The American Civil Liberties Union is suing the Boston Police Department over a racially discriminatory gang database that has been used by federal US agents to deport foreign nationals — sometimes plucking kids out of schools to deport them. 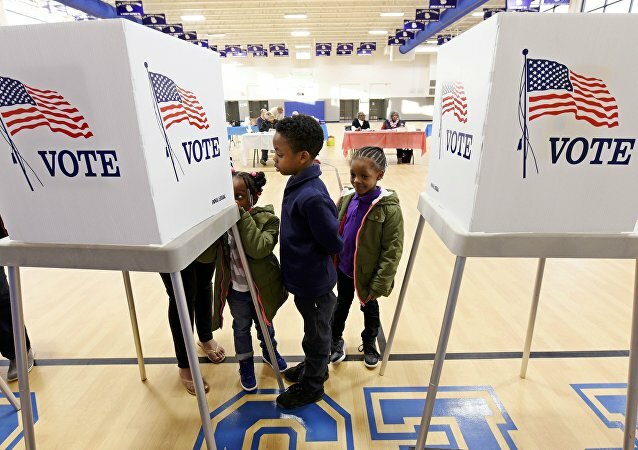 WASHINGTON (Sputnik) - A US federal Judge issued a temporary restraining order that prevents state of Georgia election officials from throwing out ballots based on groundless signature mismatch claims, the American Civil Liberties Union (ACLU) said in a press release on Wednesday. 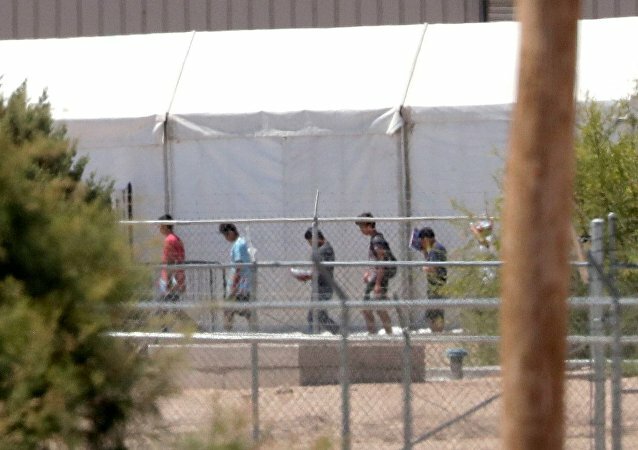 It’s been almost two months since a US judge ordered the US government to reunite immigrant children separated from their parents at the border, but hundreds remain apart as news spreads that parents have been deported while their children were in custody and that reunited young children don’t recognize their parents any more. 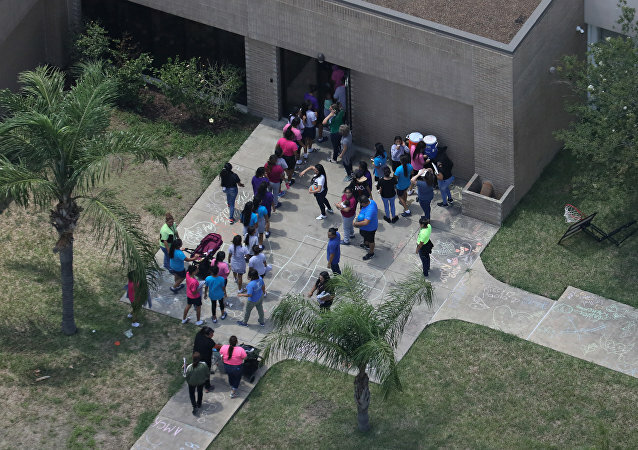 On Monday, the Trump administration announced that it would be unable to comply with a court order to reunify all migrant children who were separated from their families at the border between April 19 and May 31. WASHINGTON (Sputnik) - The Trump administration plan to collect social media information from visa applicants is problematic because it unfairly targets Muslims, the American Civil Liberties Union (ACLU) said in a press release on Friday. WASHINGTON (Sputnik) - The US Supreme Court should decide to strike down President Donald Trump’s recent travel ban of individuals from six Muslim-majority countries, the American Civil Liberties Union (ACLU) Immigrants’ Rights Project Director Omar Jadwat said in a statement on Friday. WASHINGTON (Sputnik) - The US government finally allowed a suspected enemy combatant captured in Iraq access to a lawyer after being unlawfully imprisoned for four months, a court document filed by the American Civil Liberties Union (ACLU) revealed. The American Civil Liberties Union (ACLU) filed on Thursday a Freedom of Information Act lawsuit against the Trump administration seeking the release of the new principles, standards and procedures for lethal strikes on individuals abroad who are outside recognized battlefields. The US House of Representatives has cobbled together a backward and secretive piece of legislation known as the Foreign Intelligence Surveillance Act (FISA) Amendments Reauthorization Act of 2017 that is a blow to privacy rights, US Senator Ron Wyden said on Wednesday. Have Generals Fully Taken Over the White House? Generals have taken over the Trump White House; Free speech under attack; Weekly Wrap-Up. The threat of lawsuits against a US program that allows residency for children brought to the country illegally has prompted a request for documents detailing coordination between federal and local immigration officials, the American Civil Liberties Organization (ACLU) announced in a press release on Monday. Garland and Lee discuss the difficult job ahead for New White House Chief of Staff General John Kelly as he quickly cans the Mooch, the push-back against bipartisan legislation aimed at the boycott, divestment, and sanctions movement against Israel, and Russia's retaliatory sanctions against US diplomats. On this episode of Fault Lines, Garland and Lee discuss the raging rumor mill as the newest character is introduced into the Trump Jr meeting spectacle, the Trump Administrations policies on climate change and the latest Congressional Budget Office findings on his budget, and a new ruling on the travel ban. On this episode of Fault Lines, Garland and Lee discuss the FBI Director confirmation hearings and the latest gossip on the Trump Jr story, the confirmed Ukrainian interference in the US presidential election, and a Detroit judge granting an ACLU request to halt the deportation of Iraqi refugees. 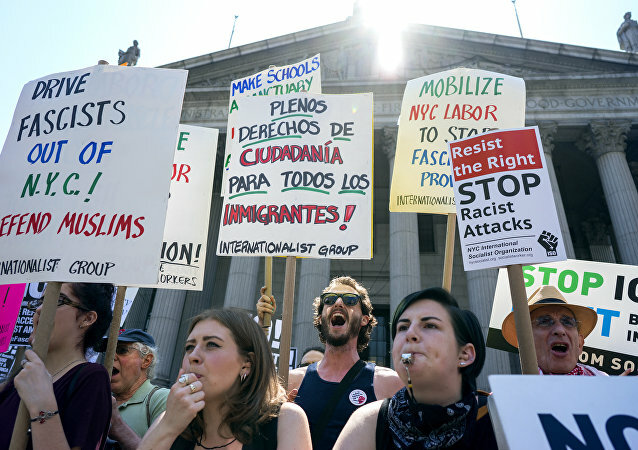 A right-wing, anti-immigrant lobbyist group fearful of Muslim religious fundamentalist law staged marches in US cities on Saturday, and but they don’t seem to have drawn many attendees. 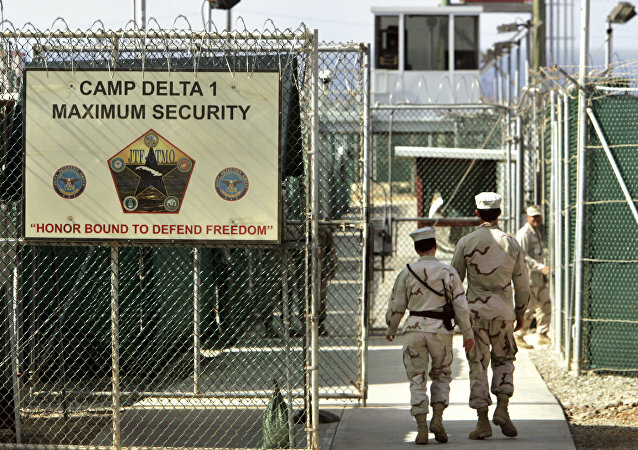 Psychologists James Mitchell and John "Bruce" Jessen have been served yet another lawsuit in hopes that Polish authorities can pick up information about a CIA black site in Eastern Europe. It is expected that President Trump will sign an executive order on religious liberty in the United States, a move that is drawing fierce criticism from civil rights groups. Twitter has succeeded in their effort to protect the identity of an anonymous user that claims to be a rogue anti-Donald Trump US Customs and Border Protection (CPB) worker.